It is September … already! Halloween merchandise is popping up in stores … Christmas too! I know it happens every year at this time … but I’m still amazed how quickly time passes! Summer just can’t be over … I still have strawberries in the fridge! 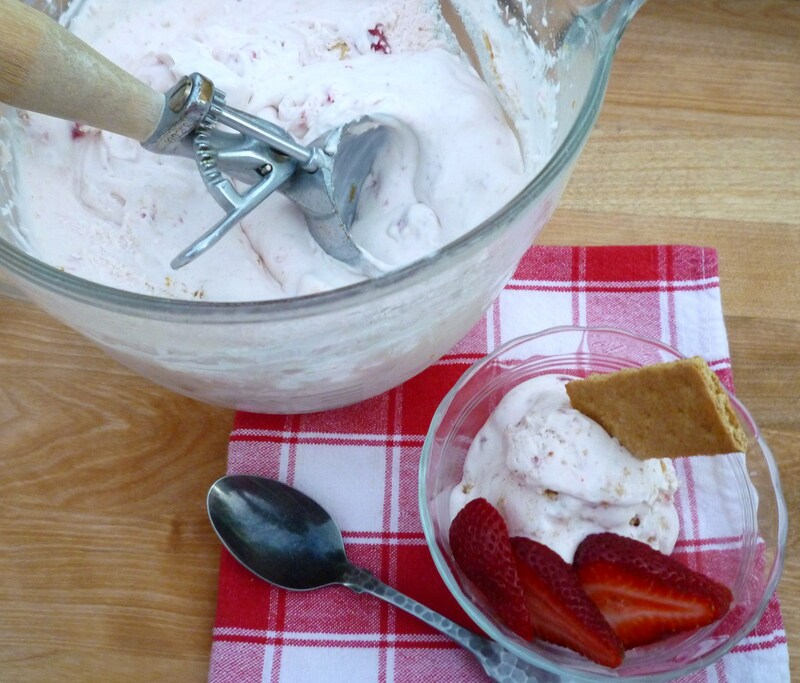 Strawberry Cheesecake Ice Cream … made with no eggs or ice cream maker! It was very easy and after all, I needed to use the strawberries before they spoiled 😉 I also had some heavy cream that reached its expiration date and I wanted to use it up. I found a recipe from Kraft Foods and had to make some alterations because of what I had on hand. Now, ask yourself … which bowl should I eat? 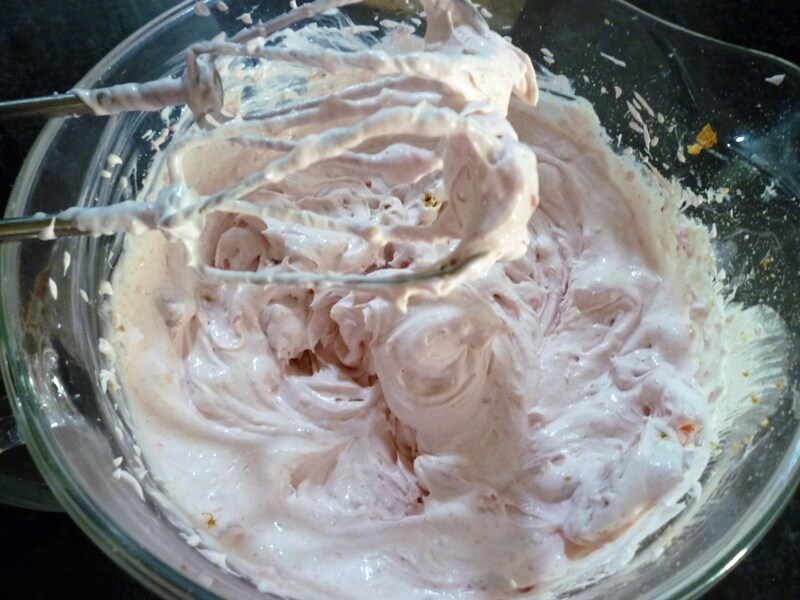 In a medium mixing bowl, use a mixer to beat cream cheese and powdered sugar. 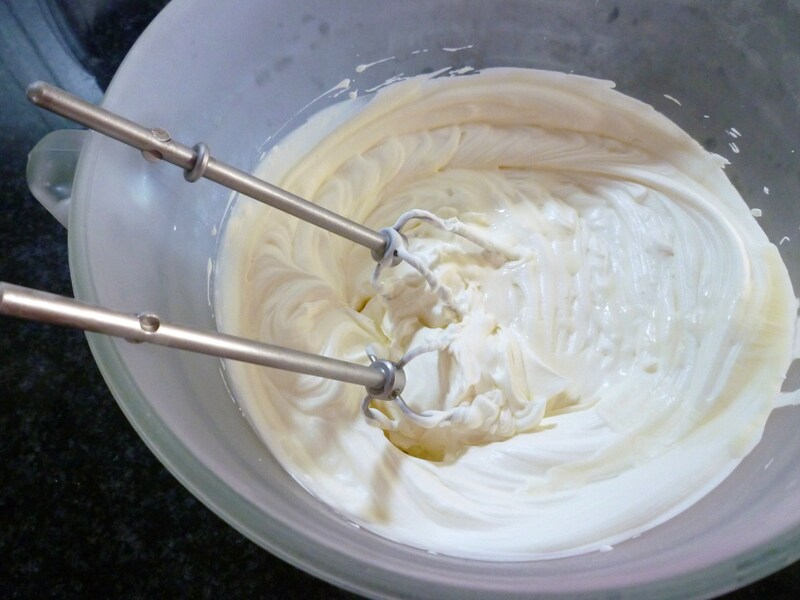 Add heavy cream and beat until thickened and fairly stiff. Place in freezer for 1-2 hours. 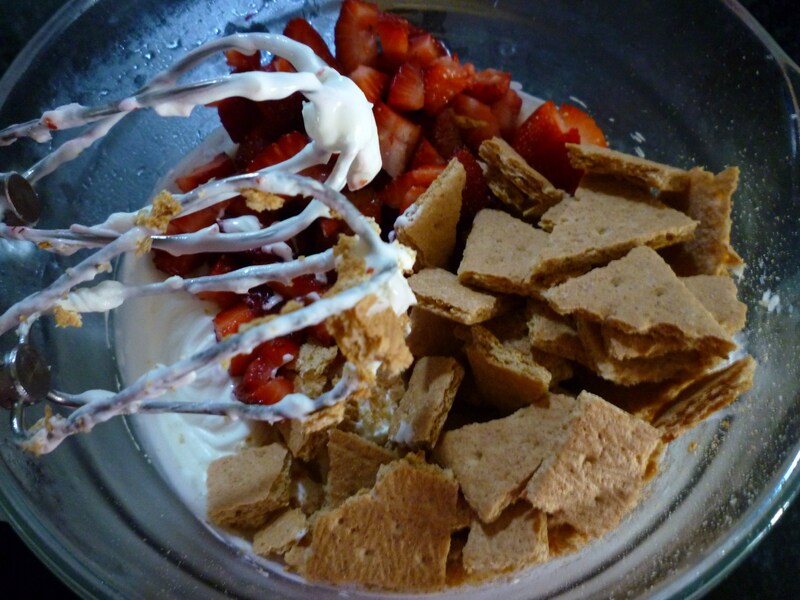 Add chopped strawberries and broken graham crackers. Use a mixer to combine well and beat for 1-2 minutes. Cover tightly and place back in the freezer for 8 hours or until firm. Remove dessert from freezer 15 minutes before serving. 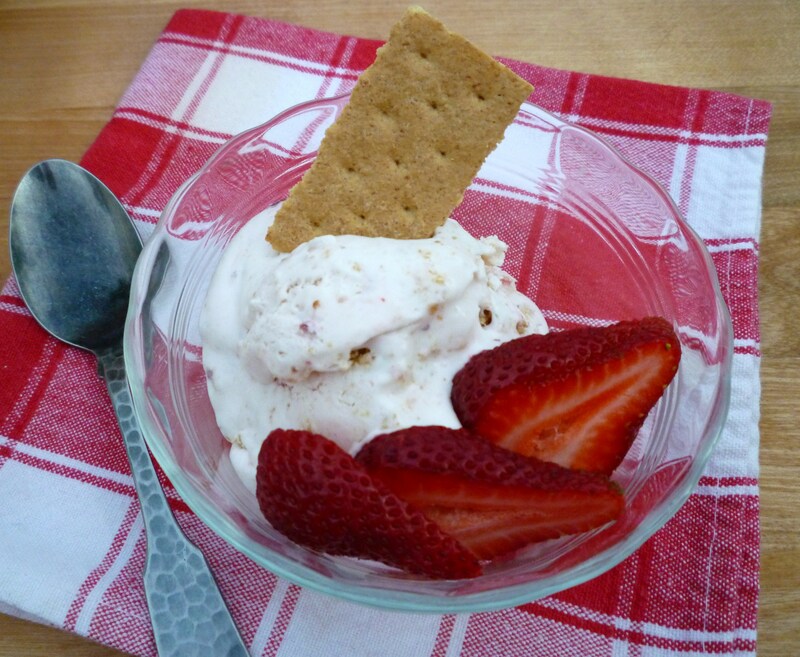 Garnish with extra sliced strawberries and graham crackers. Makes about 8 servings. I love ice cream … but, am ready for autumn and some cooler temperatures … how about you? I like how your icecream is a little melty just the way I love to eat it.